Recorded on location in Cuba, Lucy Duran continues on her thousand-mile road journey in search of the island's musical roots. 2/3: She explores changui music from Guantanamo. 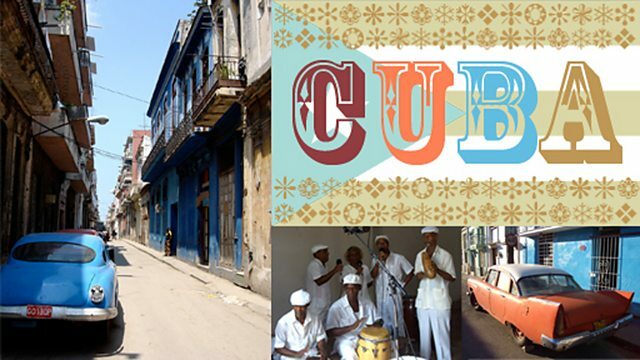 In the second of three programmes recorded on location in Cuba, Lucy Duran continues on her thousand-mile road journey in search of the island's musical roots. In her search of Cuban Music Lucy explores changui music from Guantanamo, looking into the African and Haitian influences that helped create it. In Holguin she discovers the Mechanical Organ, “organo oriental”, and the voice of Beny More. As well as encountering the religious music of the Cabildos and the Spanish influenced countryside “Decimas” music in the colonial gem Trinidad de Cuba. Lucy Visits Guantanamo and hears one of Cuba’s most popular song Guajira Guantanamera. Jesus O’Reilly talks about the African and Haitian influences in Changui music. En route to Holguin Lucy finds the road signs to two villages, Mayari and Macane. Lucy coming to Holguin to see and hear the mechanical organ known as “organo oriental”. Lucy and Jesus discuss Beny More, Cuba’s all time greatest singer. Juan tells Lucy about the history of Trinidad and Lucy hears sacred music in a Cabildo. Lucy and Juan discover the other side of Trinidad’s musical tradition - “decimas” music. Decimas libres con la Touada la zanaoria.